The Oasis Glass Bottle 22oz is a single-wall clear glass bottle wrapped with soft grip sleeve. 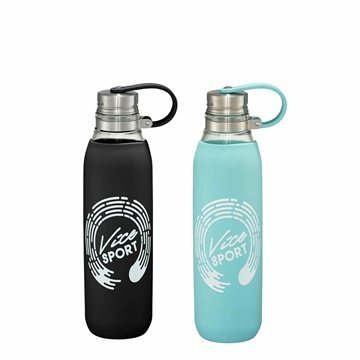 It features a screw-on stainless steel lid with a comfortable silicone handling loop. It's non-slip bottom fits in most car cup holders. It is plastic free and an exclusive item.